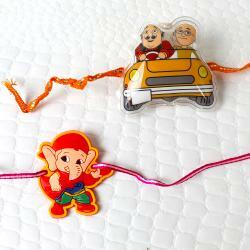 Bahubali Rakhi with Ben 10 Rakhi along with Packets of Kumkum Chawal for Tikka. 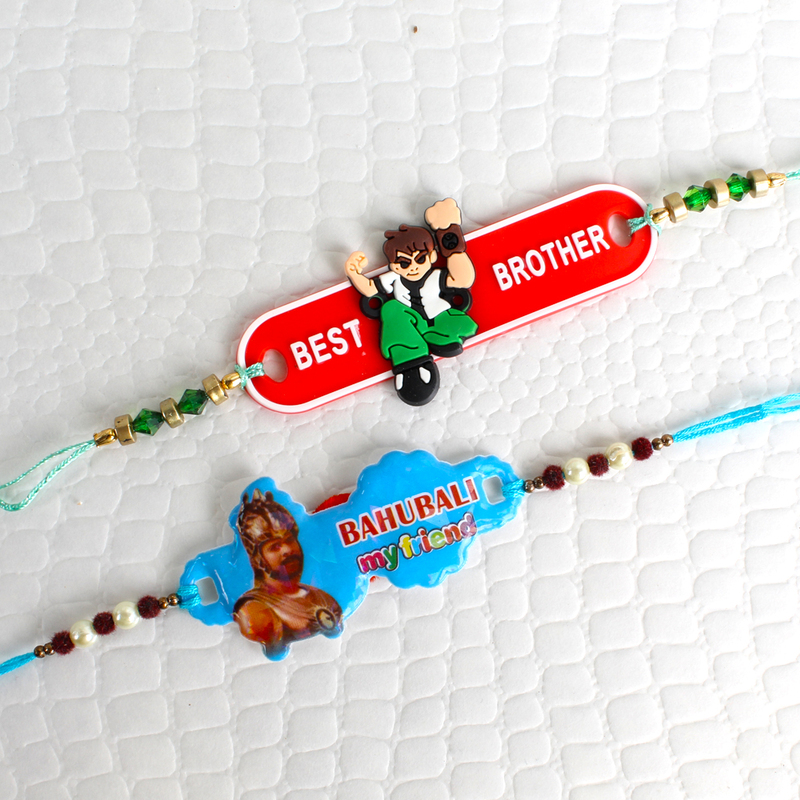 As our life get inspired by few characters here is a Bahubali and BEN 10 on occasion of Raksha bandhan to tie your brother with words to be true, strong & happy. 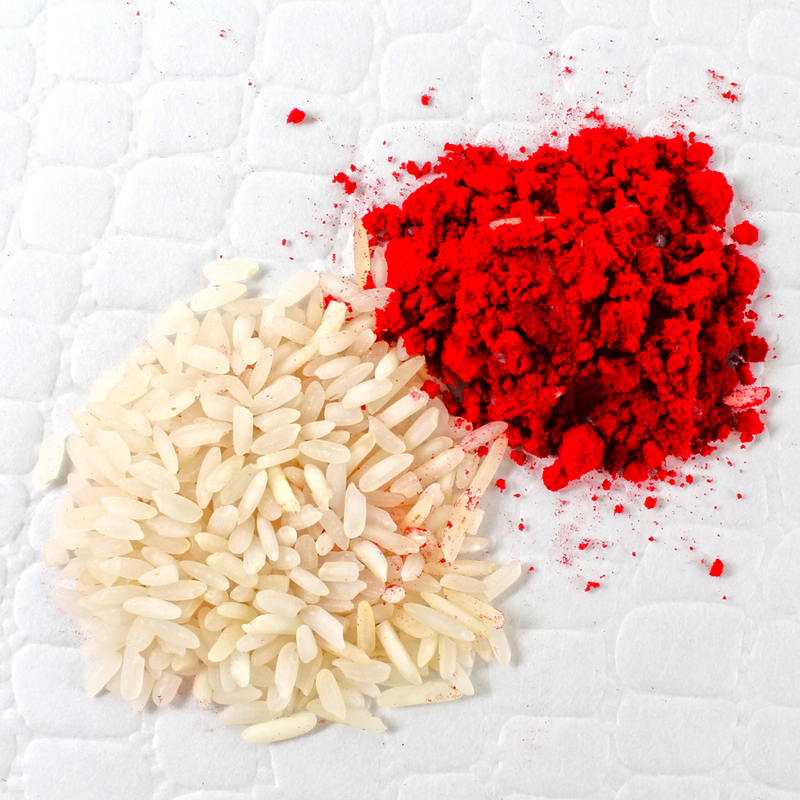 There is a Roli Chawal as part of the Pack. It represents how much you want your brother to grow just like this brave character. 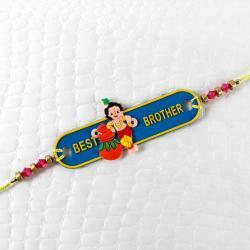 To give your little brother something different this time on the occasion of Raksha Bandhan then it is the best. 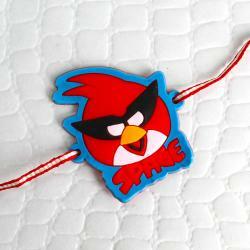 Product Includes : Bahubali Rakhi with Ben 10 Rakhi and Packets of Kumkum Chawal for Tikka.